The saying goes ‘do it right, do it once’ – and when it comes to realising long-held dreams, like getting the smile you’ve always wanted, these are wise words. It really does pay to get the job done properly. Whatever you’re looking for in life, there will be the best option – and other options. For the most important things, you should consider which is best for your long term needs. When it comes to straightening teeth without the need for extraction, you may be so relieved to hear that none of your teeth need to be pulled out that you’ll happily go along with whatever process your dentist recommends, even if their specialty is in looking after the health of your teeth rather than their overall appearance. An example of such a process is MyoBrace. It is unfortunate that this expensive treatment is being prescribed by many non-specialist dentists who are not qualified to be involved in the delivery of such a long, protracted treatment. At Brace5 we practice non-extraction teeth straightening whenever possible, but we do not prescribe MyoBrace. We have a strong family ethos, and strive to treat every patient just as we would a member of our own family. Hence, we would never put a child through such a long treatment using a bulky, uncomfortable plate. 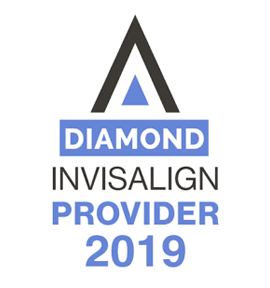 Our three decades of specialist orthodontist experience has enabled us to develop the most effective and painless procedures for helping you and your loved ones get the smiles you deserve – which is why we favour Invisalign. If you have been told by your dentist to wear this appliance, make an appointment for a consultation today and we’ll put you on the straight path.